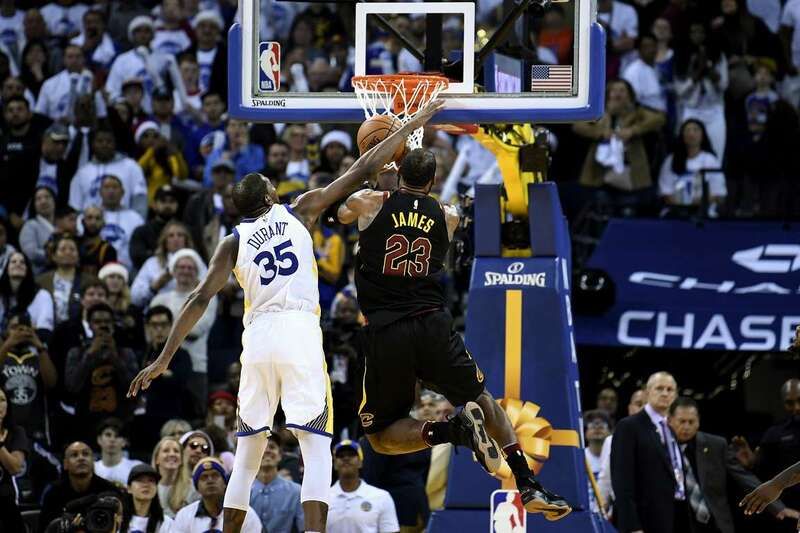 Kevin Durant of the Warriors blocks the shot of LeBron James of the Cavaliers on Monday in Oakland, California. The Warriors won 99-92. Photos - U.S. Daily News: Replay ?